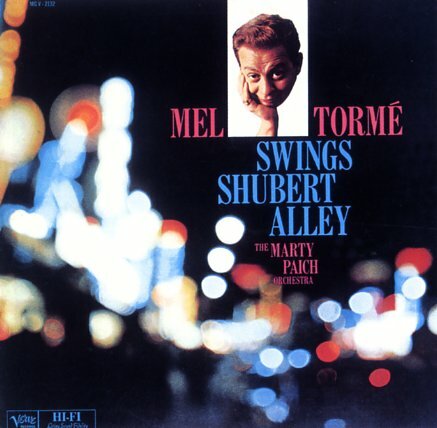 Mel Torme takes on the sound of Broadway at the start of the 60s – but he does so in a very groovy way, thanks to hip backings from the amazing Marty Paich! The style here is as swinging and jazzy as the work that Mel and Marty cut together on the Bethlehem label in the late 50s – and the tracks have a nice sort of groove, and an overall lean feel – a sound that takes the music far from its Broadway roots! Players include Art Pepper on alto, Stu Williamson on trumpet, Bill Perkins on tenor, and Frank Rosolino on trombone – all bringing a nice sense of themselves to the set. Titles include "Lonely Town", "Whatever Lola Wants", "Old Devil Moon", "Hello Young Lovers", "Too Close For Comfort", and "Just In Time". © 1996-2019, Dusty Groove, Inc.